Landing a big contract can make or break a cloud vendor’s business which is why Google, Amazon, Microsoft and Oracle have been competing for the US Department of Defense’s $10bn, ten-year enterprise cloud project called the Joint Enterprise Defense Infrastructure (JEDI). With Microsoft out of the running and Google deciding to pull its bid, it appeared that Amazon’s AWS was guaranteed to win the JEDI contract. However, Oracle is not backing down and the tech giant has filed a lawsuit arguing that the JEDI contract’s bidding process favors a single cloud vendor. 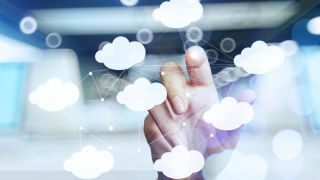 TechRadar Pro spoke with RackWare’s Co-Founder and CEO Sash Sunkara to better understand how government cloud projects work and what it could mean if Oracle’s lawsuit is successful. Why does the U.S. government hire public cloud providers? What services do they provide? I think the U.S. government is ready to leverage the cloud’s flexibility and agility in the same way commercial businesses have. By enlisting the help of public cloud providers, the government could offer better service, roll out apps at a faster rate and give the country a competitive edge within the intelligence community. After all, these data centers have the best equipment. Rather than investing their own capital into building up that kind of technology, they can leverage the cloud to create the same momentum enterprises in the private sector have discovered. Can you tell us a little bit more about the U.S. Department of Defense’s Joint Enterprise Defense Infrastructure (JEDI) contract and why it is so sought after? It’s tough to think about this contract without considering what it means for the state of the industry. It’s early days for cloud adoption within the federal market. Whoever wins this contract doesn’t just earn the privilege of saying the U.S. Department of Defense uses their solution; they gain an extra foothold in the fight for market dominance. Ultimately, the JEDI contract is so sought after because it’s not really about a single contract. It’s about how that contract will position the winner to grow its footprint in a niche that competitors haven’t yet touched. Initially Google, AWS and Oracle were bidding on the contract. What prompted Google’s decision to pull its bid? We know that Google pulled its bid because the project conflicted with its AI principles. If the contract had been open to multiple vendors, Google would have happily submitted a proposal for portions of the work. Their stance echoes what we’ve been hearing in the marketplace — this is not a single-player market. 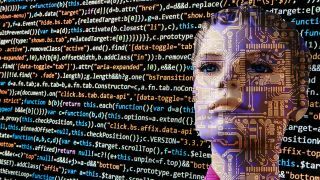 It would have been in the government’s best interest to seek out a multi-cloud approach, so that they could choose a cloud that suits each workload. In fact, most enterprises are opting for a two- to three-cloud strategy, especially when it comes to mission critical apps. Why is Oracle pursuing legal action against AWS when it appeared to be the clear winner of the contract? There’s a sense that AWS was given an unfair advantage of some sort. I can’t speak to whether or not that is true, but it does seem unprecedented for the federal government to provide that type of contract to a single vendor. So, bidders are asking some tough questions right now: Was AWS given access where others weren’t? Were they given more coaching and guidance to position them to win the contract? If the contract had been open to multiple vendors, AWS would certainly win a portion of it. But, other solutions shine when it comes to reliability, availability or resiliency. It’s not necessarily true that AWS was destined to win it all from the start. Do you think that Oracle can actually make a case against AWS? Why or why not? I think it’s possible that AWS was on the inside of this process, getting some information that other providers did not receive. Additionally, one must consider that this is our federal government. Putting all those critical apps into one cloud provider doesn’t seem to make sense for reasons of security and protection. Ultimately, a federal contract is required to offer a level playing field for bidders — so, I think Oracle has a shot. Whether they will win is to be determined. What are the benefits of going with a single cloud provider as opposed to a multi-cloud approach from the government’s perspective? Perhaps the government felt that going with one provider would allow them to build and streamline a cloud strategy more easily. From a security standpoint, it might have seemed easier to fortify a single cloud. However, most people feel as if the JEDI contract should have been awarded to two or even three vendors, as opposed to putting all of the DoD’s eggs into one basket. The risk is actually higher when you put everything into one cloud, and we have technology now to support a multi-cloud approach. What are some examples of public cloud companies that expanded their business significantly after winning a government contract? The federal government is just now beginning to discover the full potential of the cloud, so there aren’t a lot of examples. However, there are companies like Terremark that are making inroads with the government sector. The JEDI contract is a huge deal for whoever wins, because they are going to be locked in for 10 years, and we know that businesses are in the best position to expand their footprint once they secure a large contract. I think that’s why there is so much contention for it.